Are you tired of your opponents running circles around you? Do you wish you could score more goals? 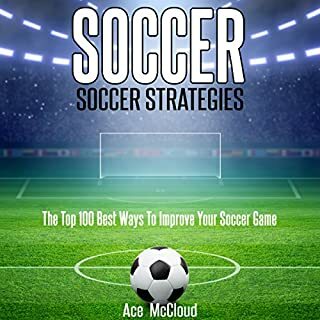 Whether you want to (1) have better soccer skills, (2) kick the ball with greater force and accuracy, or (3) be a valued member of your team, this audiobook will teach you everything you need to know. Improve your soccer game now! Soccer is not an easy sport. As a highschooler who plays the sport, I know that there are so many variables that can keep you from playing your best game. Between what you eat the night before and directly before a game, to how you stretch, what you practice, and what your strategies are, there is a lot of work to be done when playing the game right. This audiobook surprised me with its informational material on all different topics on the matter. I loved that it mentioned diets and supplements to keep you on your top game, as well as going over the different offensive and defensive positions, and how to strategize in order to play them the best. All in all, I found this a great purchase-- definitely impressed by the amount of information and knowledge... I would recommend the read; material worth-knowing as a soccer player. Swimming is a seemingly easy task; some people don't think it is good exercise because it does not involve sweating; however these people are dead wrong. Swimming is a great way to burn calories while staying cool, and it can prove to be quite the difficult sport. Between being aerodynamic in the water, and having a good breast stroke, back stroke or freestyle stroke, this audiobook has it all. Whether you are a beginner or an expert swimmer, the tips in this book will certainly pertain to you. 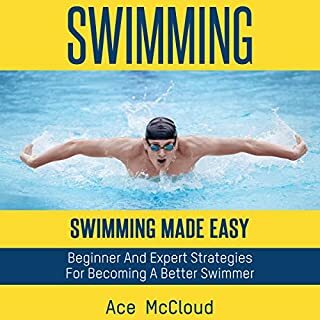 Also, if you are a novice swimmer for fun, or swim on a swim team, this audiobook will introduce information to you that is very helpful and new. It helped me become a better swimmer... I would highly recommend it! Our knees are among our most important body parts because they serve as the support system for our bodies. They are also among the most commonly injured body parts. Knee pain is a serious problem affecting millions of people all around the world! Stop doing what doesn't work and develop a strategy that is really going to give you stronger and healthier knees! Everything you need to know on treating knee pain. Knee pain is a difficult thing to deal with, as your knees are a very significant part of walking and running. There are remedies out there for knee pain, but it's so easy to redamage an injured knee, and the pain just seems to never end. This book has helped me to understand exactly what is going on in my knee, and helped me to see how I can help relieve this pain. What I love about this audiobook is that it tells you how to prevent knee pain, which is very useful information that can help one to nourish his knees throughout life in order to stop the pain from coming. What I also love about this book is that it gives all different types of remedies for knee pain. 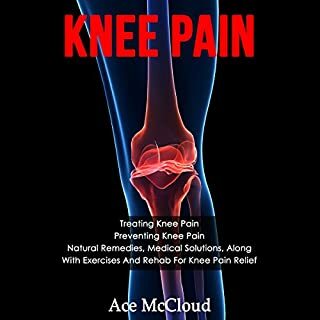 Whether it's medical or natural, a different kind of diet or exercise, all of the ideas in here are just fabulous for all kinds of knee pain and all kinds of people in getting the solution for pain. If you have knee pain, i would highly recommend this audiobook. It is a great resource! Our hips are one of our most important body parts because they are critical to our ability to move effectively. They are also one of the most commonly injured body parts. 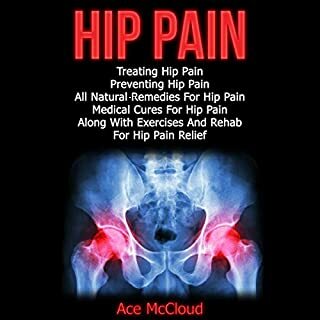 Hip pain is a serious problem affecting millions of people all around the world! Stop doing what doesn't work and develop a strategy that is really going to give you stronger, healthier, and pain free hips! Learn what you can do to end your hip pain! Hip pain is an ache that some unfortunate people may begin to feel as they get older, or for other reasons. This audiobook is so informative in explaining the causes of hip pain. Also, after that, it explains how to prevent it, which is so important, especially if it runs in your family, or if you are starting to feel slight pains. Do what really works to end back pain! You're about to discover how to treat back pain, prevent back pain from occurring, and how to eliminate your back pain problems using some of the best all natural and medical methods available! Take control of your life and your health now! Stop doing what doesn't work and get a strategy for a healthier and stronger back! This audio book is well-rounded with information and remedies about back pain. Back pain is a growing issue in people's lives as they get older. It is especially important that people know why it may occur, and how to treat it. 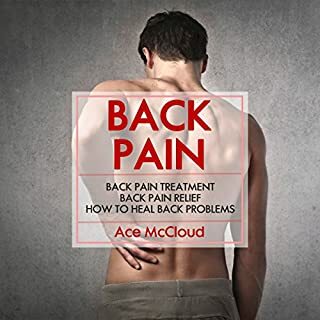 This audiobook tells great information about back pain in general, and then focuses on how to relieve it, as well as heal it. It includes all different kinds of remedies, whether they are natural supplements, a healthy diet, exercises or medications. If you are experiencing back pain, I would highly recommend it! This audiobook covers an incredible variety of strategies, techniques, and lifestyle choices that can easily help you to live a more fulfilling, enjoyable, and inspiring life. Get the many benefits of inspiration in your life now! Life is so much better when you have the inner drive and motivation to go after your goals and dreams with ruthless abandon. The greatest people throughout history have been able to harness the power of inspiration to do truly incredible things...now it's your turn! It is so hard to find inspiration in today's world. There is always so much going on around us, and it is easy to lose motivation and simply exist. This book will show you how to live. It will teach you about inspirational people, and how to become inspired yourself. 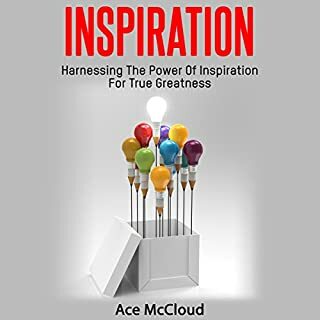 I love this audiobook because it is filled with awesome tips on becoming inspired and setting goals for yourself to achieve greatness. All in all, a great "listen," I would totally suggest it for people who are lacking inspiration in their lives. Whether you are trying to lose weight, become successful, or change your life, this book will help you achieve your goals. Does constant pain make your life seem unbearable? Do you wish you could just feel normal again? Whether you want to (1) naturally reduce your pain levels, (2) free yourself from addictive pain killers, or (3) prevent pain from occurring in the first place, this audiobook will teach you everything you need to know. Why Live In Pain? Take Action Today! As people grow older, they begin to feel aches and pains in places they never had before. This book is meant to help prevent these pains from happening through a series of tips and tricks, as well as different supplements and diets. It also provides various tips and strategies for people who already have these aches and pains, and how they can manage them, as well as overcome them. 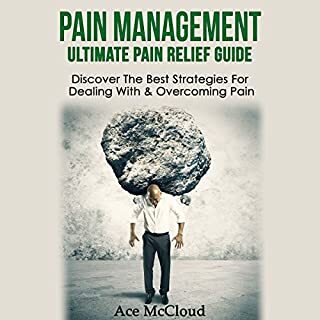 Pain is very hard to be able to deal with, and this book understands that, but still teaches you how to get through the hard times and overcome your pain. Are you at the end of your rope? Are you sick of always being tired? Do you wish you could just "be yourself" again? 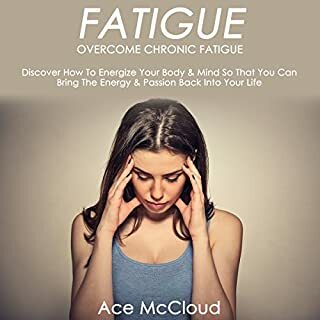 Whether you want to (1) have more energy, (2) recover faster from times of exhaustion, or (3) successfully end your suffering from chronic fatigue syndrome, then this is the audiobook for you! This book outlines the significance that fatigue might play in someone's life, and how much more life a person can have without fatigue. You can discover the best ways, whether natural or medical, to overcome chronic fatigue, and how to give your life a boost. It is draining to feel as though you don't have enough energy to move; fatigue can be the only thing standing between you and your goals. Don't let it be the barrier any longer... With this book, you will discover how to do that, and more. 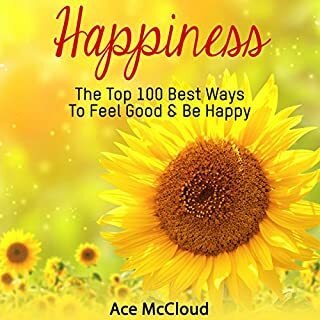 This audiobook is a great guide for finding happiness and joy in your life. Happiness, although it may seem impossible, is actually a choice. No matter where you are, or what you have, you can always choose to make the best of it, or to get sucked into the negative parts of life. This audiobook teaches you the best ways to be happy; and relieve all sources of stress and anxiety. I would highly recommend it for anyone who needs to find a way to be more positive, or who can't seem to find happiness in their life. Are you tired of low sales and small paychecks? Do you wish you had more control over your life? 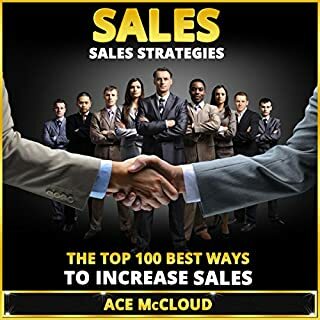 Whether you want to (1) discover the world's best closing techniques, (2) make a lot more money, or (3) learn how to master sales the right way, this audiobook will teach you everything you need to know. The best audiobook to help your sales skyrocket! In the business world, sales are a very tough thing to master. Between your personality, your business techniques, and your sales strategies, increasing sales is not easy, and only when every aspect of your business game is at a high level is when results will reflect in your sales. This audio book is a great resource for improving your business game! Listen to it while driving or when you have some time in the office, and put the strategies to use. You will not be disappointed when you realize that there are over a hundred helpful and informative strategies and tips on increasing sales. And you'll be even less disappointed when your sales rates increase! I would recommend the download.